© Copyright PG&F, TM (UA), 2008. All rights reserved. Reproduction, adaptation, or translation without permission is prohibited except as allowed under the International copyright laws. All the text, graphics, design, content, and other works are the copyrighted works of PG&F, TM (UA). PG&F web site / web pages are provided by PG&F, TM (UA), CEO: Mr. Serge Potapenko. By accessing PG&F's web pages, you agree to the following terms. You must not access our website if you do not agree to all the following terms. Anyone who claims rights in a mark may use the TM (trademark) or SM (service mark) designation with the mark to alert the public to the claim. It's not necessary to have a registration, or even a pending application, to use these designations. The claim may or may not be valid. The registration symbol, ®, may only be used when the mark is registered in Patent and Trademark Office (PTO). It is improper to use this symbol at any point before the registration issues. PG&F isn't any idea, the really Trade Mark (UA) was been registrated in UA - Ukraine, please omit all symbols from the mark; the symbols are not considered part of the mark. The contents of PG&F web pages on opticalglass.com.ua are protected by the PG&F copyright, all rights reserved. Reproduction, transfer, distribution or storage of part or all of the contents in any form without the prior written permission of PG&F is prohibited. Printing copies of extracts from these pages for your personal use only is allowed. Certain documents on opticalglass.com.ua may be subject to additional terms indicated in those documents. PG&F, TM (UA); PG&F, POTAPTNKO GLASS & FILTERS; PG&F, as well as PG&F product labels are protected trademarks or trade names of PG&F, TM (UA). 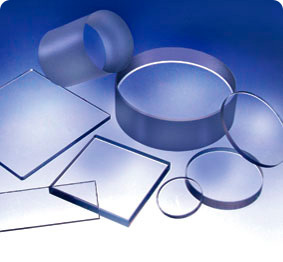 The contents of PG&F web pages on opticalglass.com.ua are provided "AS IS" and on an "AS AVAILABLE" basis. Thus, except as required by applicable law, no warranty of any kind, either expressed or implied, is made in relation to the accuracy, reliability or content of the pages. PG&F reserves the right to revise the pages or withdraw access to them at any time. PG&F assumes no responsibility for material created or published by third parties that PG&F web pages have a link to; also anywhere without a PG&F prior written licences. However, this web page / site publication isn't our licence therefor. (a) loss of data; (b) loss of revenue or anticipated profits; (c) loss of business; (d) loss of opportunity; (e) loss of goodwill or injury to reputation; (f) losses suffered by third parties; or (g) any indirect, consequential, special or exemplary damages arising from the use of opticalglass.com.ua regardless of the form of action. PG&F do not warrant that functions available on opticalglass.com.ua will be uninterrupted or error-free, that defects will be corrected, or that opticalglass.com.ua or the server that makes it available are free of viruses or bugs. You acknowledge that it is your responsibility to implement sufficient procedures and virus checks, including anti-virus and other security checks to satisfy your particular requirements for the accuracy of data in-put / data out-put. If for some reason you believe that PG&F TM (UA) hasn't adhered to these principles, please feel free to contact us by email, and we will do our best to determine and correct the problem promptly. To print PG&F Web Site Copyright (WSC), click here.